Welcome to the ecomparo shopping cart comparison! No online shop project is like the other. On this page you can define the functions you need, in order to filter all selected shopping carts according to your individual needs. In a few minutes you will receive an overview of all suitable ecommerce solutions. Define also strategically necessary requirements based on over 800+ cart comparison criteria and speed up the search and decision process leading to the appropriate sales solution significantly in a systematic manner. You are looking at this shopping cart comparison site in "Demo Mode", which is used to get to know the comparison process. please be aware, that your criteria selection is not stored within DEMO mode. contains all criteria currently available. to get individual & project specific advice for specific needs. The search function hides all groups that do not contain the searched term. Matches are highlighted in blue. Widgetshop You can sell products on differen webpages and within in socialmedia networks. Out of the Box - capable The shopping cart can be implemented very quickly without agency or project expenses. Project-based implementation necessary/ useful Specifies whether the cart needs a certain period of implementation and customization to set it up. The given charges are plus VAT and may not be updated daily. App /Plugin store Enhance functionality by adding APPs to your shopping cart software. Ecommerce solution manufacturer as general contractor You are no longer forced to piece You are not forced to piece together technology and service components from multiple vendors and partners. Individual adaptations included Some shopping carts include a certain amount of individual cart adaptations. Multi-Vendor feature Enable several vendors to sell on your shop/ marketplace. Legal Warning Protection for Sellers If you are a dealer and you are, e.g. note named as the vendor and are only named as the sender of the goods, a warning protection may exist. Another shop is cheaper Customers can send you an info that a competitor offers a more favorable price. Could be ordered - Product Attribute Specifies whether the visible items can be ordered by certain customers or not. Custom Order Requests possible Allows your buyers to purchase made-to-order items. More than one file per download product possible (number) Maximum number of files to be assigned to a download, or digital article. Product varieties (quantity) Specifies whether and which total number of multidimensional product variants (eg dress in blue , size 38 , X pattern , etc . ) are supported for each article . RSS Content Reader Display content from other Websites on your Shopping pages. Specify minimum value order Orders below this value are rejected and a notice is delivered to the customer. Specify priorities for varieties (defaults) Enables destinct display of variants. For example, a variant may be set as the default. Breadcrumb Navigation "Breadcrumbs" appear at the top each webpage and so enable your customers to go directly to parent pages. Questions to product - feature (Ask about product) Your customer can send you questions about products directly from the product page by clicking one button. Quick recurring orders Your customers can quickly perform orders by selecting products from their previous orders. Automated approval of order processing by rules Specifies whether the provider includes the ability to define criteria where orders are directly confirmed and released without a manual check has to take place. Barcode on invoice Barcode on each invoice to speed up the lookup of detailled order data. Cart reminder E-Mail/ Drift Marketing / AbandonedCart Specifies whether the Shop tariff enables the automatic sending of reminder emails by abandoned carts. Shipment tracking within the software The status of the shipment ist accessible within the shopping cart system. Global percentage discounts (for all goods) Discounts for your complete range of products by view clicks. Price offer Customers can send you a price offer for products. Customers can send/ give other people their account balances by e-mail. Specify payment methods to chosen shipping method e.g. orders with express shipping cannot be payed by "cash in advance"
Limit shipping methods to time slots e.g. express shipping only until 4 p.m. Shipping methods per product. Specify shipping methods per product. Forwarding to productpage Your customers are forwarded to the product page, when there is just one single product in the sitesearch result. Instant search results Displays a list of product results within your shop's main content area from the moment your customers type a few letters into the search bar. search synonyms (Aliases) Specifies whether you can define terms for specific keywords synonyms to be used to improve the search function. (e.g. notebook for laptop) Also useful to improve search results with frequent typos. Buy Widget for Websites You can put your shopping cart "widget code" in other websites. Sell external affiliate products Integrate affiliate products into your store and sell them directly by your shopping cart. Bulk Image Upload Upload a huge number of images at the same time. Display dispatch point of time Display the point of time for shipment of products. Password protected pages (private shop) Enable password protection to keep specified areas of your webpage hidden in view. Quick Start Guide Quick start guides are ideal for onlineshop beginners. Recognition of Duplicate Content The cart software containts checking functionality for duplicate content. specify backend user rights for each module Specify for each modul if only viewing, configuring oder even uninstalling ist granted. WYSIWYG editor Editor with high usability included. Detailed Documentation of Returns You can create your own status for returns (not completed, shipped back, repair process) to manage returns very detailed. Allocation of customer groups by registration code Customers can be allocated to groups with, e.g. different prices by registration with provided registration code. Customer Account Creation Customer are allowed to create user accounts for checking-out quicker. Number of customer groups Arrange your customers within groups. Different product details per sub shop Manage differnt product details (text description, etc.) in separate sub shops within the same backend. Shared orders for multishops A Purchase started in one shop can be completed in another shop. Automated allocation of customer queries to customer accounts. Email Auto Response Pre-written content to get information to your customers automatically. Customers can cancel their orders in their account Gives customers the possibility to cancel an order if it is not yet validated, through his orders history. ERETURN - Returns Service Provider Management of returns by service provider ERETURN connectable. Return/Exchange Management/ Reklamation Management of returns and exchanges within the shopping cart software. Calendar and event management feature Announce Events (open day, conferences, etc.) within your onlinestore. Newsletter function Number of Newsletters included in the shopping cart plan. Popup Management Manage your popup content (advertising, special offers, etc.) across your website. Time limited product deeplinks Create time limited deeplinks for products. The price information an expiration date is fixed to the link. Automated coupon code Mail by validated orders generate a discount when an order is validated. Automated coupon code Mail for lost customers generate a discount when a customer, who has already ordered once, has not come back to your site since. Automated coupon codes for frequent customers generate a discount when the customer reaches a certain number of orders. Coupon Statistics Provides data about the redemption rate and revenues of coupons. Coupon system included Your shopping cart plan includes the creation of coupons. Coupon termination dates Set the time restricted validity of coupons. Coupons for reviews Send your customers a coupon for reviews automatically. Coupons in invoices or newsletters The Software inserts coupon codes automatically into invoices and newsletters. 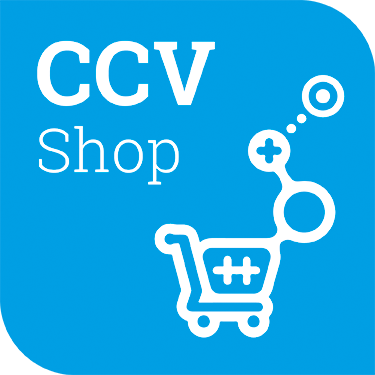 Customer Notice for coupon codes matching to cart possible Let the user know that a voucher corresponding to the items in the cart is available and can be added. Not Coupons for shipping costs Limit your coupons to the value of the basket before shipping charges. Partial use of vouchers - Feature A new voucher is created when the current one is not completely used. Product Coupons Create Coupons for single products. Sell gift cards Sell gift cards in multiple values for your onlineshop. Compare product reviews in detail E.g. compare the best pro and contra product review. Product review system included The shopping cart software contains ist own product review system. Google Products (shopping/ base/ merchant) By using the services your products in the Google search results are displayed . Product filter for export to product portals and price check websites. Auto-Generated XML sitemap for search engines The shopping cart software automatically adds additional pages and products to your sitemap. Custom meta, SEO, product tags / keywords SEO tags as meta tags, anchortexts, title tags and other can be customized. Manually adjustable XML sitemap The shopping cart software does not automatically add additional pages and products to your sitemap. But you can adjust the sitemap manually. URL redirect support Redirect support for succeeding products. Notification at product image changes Notification if image is added, updated, or deleted. Product import/export as csv/ xml file. Import product data from a spreadsheet file or export into one of the formats CSV, XML. "shipped" status by barcode scan of packet Order Status "shipped" and tracking information are set by just scanning the packet barcode. Pick products by EAN/ UPC barcode scan Picking of products is documented by scanning the products barcode. This reduces errors within the picking process.